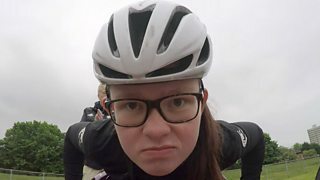 Meet Yasmin Somers, who was inspired to take up wheelchair racing by the London 2012 Paralympics and has now represented England at the Cerebral Palsy World Championships. "I don't really know where I'd be without it," she says. "Being part of racing and the Weir-Archer academy has given me a lot more confidence in life - not just sport." READ MORE: How to get into disability sport.